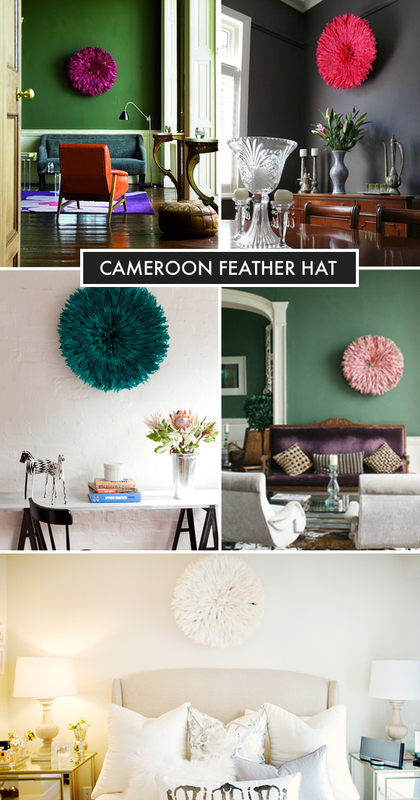 Any art piece can make a dramatic statement on a wall, but a traditional feather headdress from Cameroon makes a bold, textural statement. These vivid feather headdresses are traditionally worn by Village Chiefs in the Cameroon region of central Africa. The bright feathers represent the wealth of positive qualities associated with birds and symbolize prosperity. Between their intense colors and prosperous meanings, we think they make a wonderful piece of art.